Having Gutters Can Help Avoid Future Slab Problems. If you are interested in upgrading your gutter system, contact our specialists to learn more about Cincinnati Gutter & Roof Protection seamless gutters. Gutter & Roof Protection installs a variety of seamless aluminum gutters. We install both 5” and 6” seamless gutters. All of our seamless gutters are custom extruded on site. We have a wide variety of colors as well. 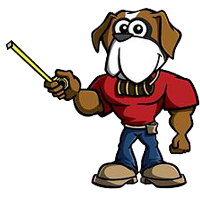 Making sure that your gutter system is exactly what you want is very important to us. When you make the decision to get gutters, you probably have an idea in your mind of what you want. Once you figure that out, we will make sure you get that same way. 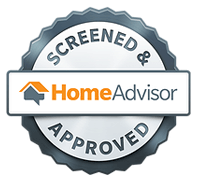 Our professionals are here for you and will make sure that you are taken care of. When you need gutter installation in Cincinnati, OH, call us at 513-563-9988. Seamless gutters were introduced in the early 1960’s with the invention of the first seamless gutter machine. Prior to 1960, gutters were primarily made of galvanized material and the gutters were usually seamed every 10’ to 20’ and soldered together. Eventually, the galvanized material rusts through and starts to leak. The advancements made in the seamless gutter industry now allow us to install a one-piece section of aluminum gutter that never rusts. Seamless gutters are an important asset to your home. One of the main reasons you need gutters is because of the type of soil that we have here in the Southern Ohio area. Our soil is made of clay primarily, which is nonporous. When a home is built, the foundation is usually set in clay soil. Without gutters, water will sit around the foundation and eventually cause leaks in it. Without gutters and downspouts, your home may experience very expensive and unwanted foundation repairs. Seamless gutters also keep water that falls from the roof from dripping on window sills and doors. This is important because the water can cause wood rot. Without gutters and downspouts, your mulch can also wash out, ruining your landscaping. Yards and basements can flood on homes without gutters and downspouts and are more likely to have termite problems because termites are attracted to wood that has moisture. 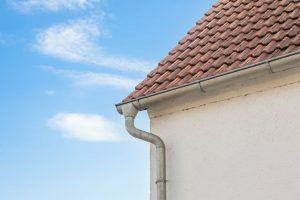 Some homes use their gutter system for their cisterns, supplying their homes with water necessary for everyday cleaning and other watering needs. Call our professionals at 513-563-9988 when you want new gutters on your home. Having Gutters Installed Isn’t As Expensive As You Think. We also do gutter repairs and gutter cleaning. Gutter cleaning and repairs are a great way to maintain your home’s integrity. Not only do we clean out your gutters and downspouts but we also check your gutters to make sure the winter’s ice hasn’t pulled your gutters away from your gutter boards. We check your end caps and corners to make sure they are properly sealed. Gutters are always checked for proper drainage too. Contact Cincinnati Gutter & Roof Protection and ask about our spring gutter tune up and gutter cleaning in Cincinnati, OH. We are experts in all seamless gutter systems in Cincinnati and will be happy to help you with a gutter system that includes a cistern system. We offer a wide variety of seamless gutter colors. 5″ gutters come in over 20 colors and the 6″ gutters come in 15 colors. All of our gutter products are manufactured by Alcoa and come with an installation and manufacturer’s warranty. The paint system on our gutters and downspouts is a baked on enamel finish and should last up to 20 years or more. Give us a call at 513-563-9988 when you are ready for new gutters, today! Making Sure Your Gutters Are Clean Is Important. Cincinnati Gutter & Roof Protection is proud to offer the highest quality gutter cleaning services available. Our expert contractors recommend cleaning your gutters at least twice a year. Once in the spring, right after the seedlings drop off the trees, and once in the autumn, right after the leaves fall. Peak debris buildup happens during these times. Keeping your gutters clean is extremely important in the maintenance of your property. Gutter cleaning will help you avoid costly repairs to your foundation, siding, window sills, and landscaping. Over time, overflowing gutters can allow water to sit around your foundation. This will weaken your foundation and cause long-term foundation problems. Overflowing gutters can also cause rot to your siding and window sills. Another reason gutter cleaning is vital is to keep your home from being infested by pests. Clogged gutters can attract mosquitoes who like to nest in stagnant water. The standing water in your gutters could become home for unwanted pests. Overflowing, clogged gutters also attract termites. Termites like wood that is moist. 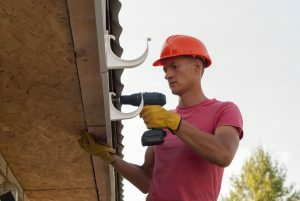 When your gutters are overflowing, rainwater will work its way to your siding and the wood structure of your home, making conditions just right for the invitation of termites. A little routine maintenance is less expensive than having to encounter some of the more serious problems that clogged gutters can lead to. Cincinnati Gutter & Roof Protection is a full-service gutter cleaning company. 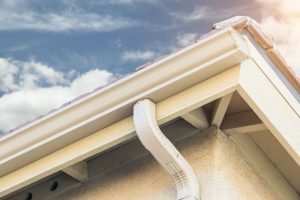 As part of the gutter cleaning process, we also check to make sure your gutters are tight to the house and reseal any corners or end caps that may be leaking.